Keystone Pipeline. The Dakota Access Pipeline. The Trans-Alaska Pipeline System. North America has the largest network of energy pipelines in the world, and unfortunately periodic oil spills from pipelines do occur. That’s why, a new large project, taking place at IISD Experimental Lakes Area in three stages, is setting out to learn more about what oil spills do to freshwater systems. Before we get into the research, let’s take a look at why oil spills could be a problem, how they could affect the surrounding environment and where we need to go from here. What exactly is an oil spill? Oil spills occur when oil being transported by truck, rail or pipeline unintentionally spills into the surrounding environment. In some cases, oil may end up in freshwater systems. There are many types of oil. In North America, bitumen extracted from the Alberta oil sands is one of the most commonly transported types (by volume). Bitumen is too thick to be transported in pipelines, so it is diluted with other, lighter oils to allow it to flow more easily. The diluted bitumen is called “dilbit” and flows through many pipelines in North America. A new research project at IISD Experimental Lakes Area will give us more information about what happens when oil spills into water. Don’t we already know happens when oil enters fresh water? There has already been research conducted, but there is always a need for more information about how oil spills affect freshwater environments. If we have more information regarding the potential impacts of oil spilled into boreal freshwater environments and the relative efficacy of different clean-up methods, this will help support the development of government policies and industry practices regarding emergency management and environmental protection. And this matters because there are approximately 840,000 km of oil and gas pipelines in Canada and 3.9 million km in the United States. And in many places in North America, the economy relies greatly on transportation of petroleum products. What is happening at IISD Experimental Lakes Area to find out what oil spills do to fresh water? 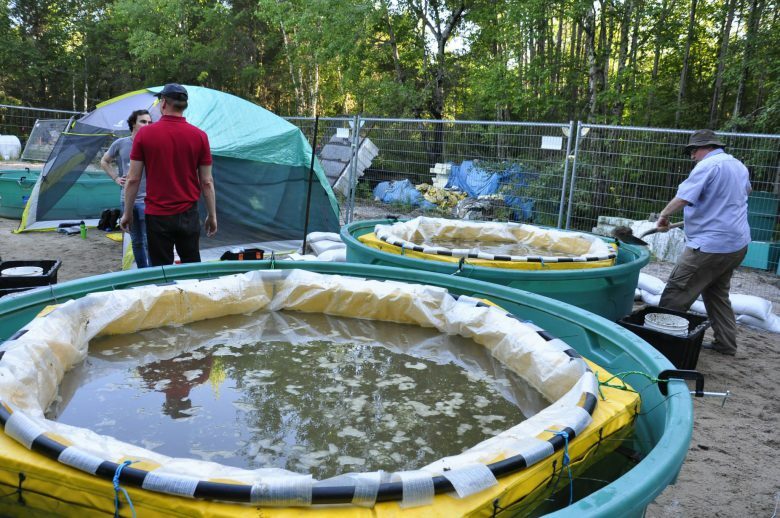 Given the significant knowledge gaps, a groundbreaking project is taking place at IISD-ELA that will answer pressing questions about what happens when oil enters freshwater systems. There are three stages of this research. First, a pilot study using three small (2 m diameter) land-based microcosms has already been completed to examine the chemical and physical behaviour of dilbit in fresh water. Oil is a complex mixture of chemicals whose nature changes with time in the environment. These changes can affect how easily it can be cleaned up (for example, does the oil remain floating or sink?) and its potential toxicity to freshwater wildlife. This early-stage study provided important preliminary information regarding these changes in fresh water that will help to guide the later phases of the research, which will begin in 2018. A pilot study using land-based microcosms has already been completed to examine the chemical and physical behaviour of dilbit in fresh water. The second stage is a field study. Researchers will use large enclosures (10 m diameter) placed in a lake to examine how diluted bitumen reacts in fresh water over longer periods of time. Researchers will also be directly testing changes in the oil’s toxicity in freshwater bugs, fish and amphibians. The information from these first two studies will guide a third study, where researchers will examine the most effective methods of cleaning spilled oil from shorelines. Again, only small, contained model spills in an IISD-ELA lake will be used. This study will focus on the shoreline, which is most sensitive to oil and presents the biggest difficulty in terms of cleanup efforts. 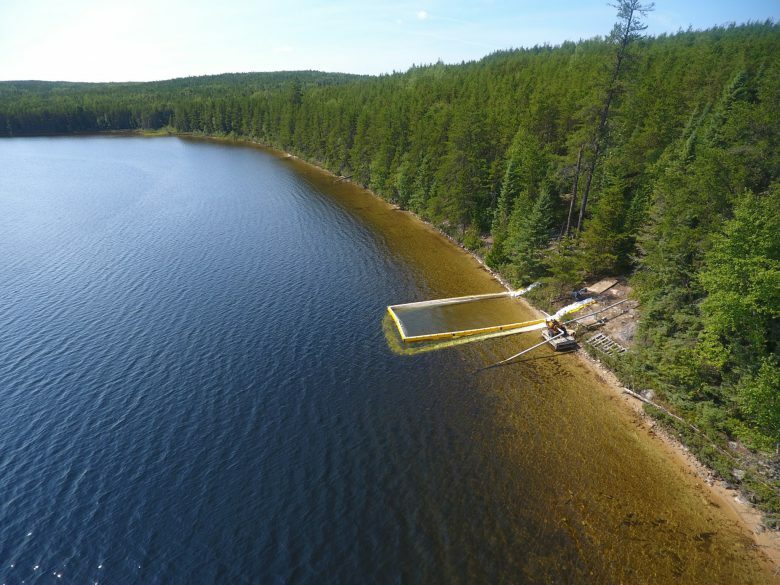 Researchers will also explore the effectiveness of oil spill remediation (cleanup) techniques in a study conducted on the shoreline of an IISD-ELA lake. Is it safe to study oil in an IISD-ELA lake? IISD-ELA never embarks on any experiment without rigorous measures to protect the long-term health of the lakes. This includes a comprehensive contingency plan and a scientifically reviewed process to return the lake to the condition it was in before we started the research. This oil research project is no exception and is going through a rigorous review process. All of the proposed model oil spills will be limited in volume and will be added into contained areas that are isolated from the rest of the lake. We will also install a series of absorbent booms around the isolated areas and at the lake outflow to double and triple protect against any leakages from the isolated areas. As always, we are committed to removing leftover oil from the lake once the research is complete. A detailed plan to do that is an integral part of the study design as well. IISD-ELA never embarks on any experiment without rigorous measures to protect the long-term health of the lakes. What is IISD-ELA doing to ensure that our results are as useful as possible? As scientists, we strive to approach our research objectively. Our interest is in providing reliable results that can be used to inform better decision making around pipeline development and to develop more effective methods for cleaning up lakes after oil spills. Throughout the project development stages, we have made every attempt to collaborate with those who might be affected by the research. IISD-ELA has sought input from First Nations and government departments, the oil production and transportation industries, regulators, universities and local community members. 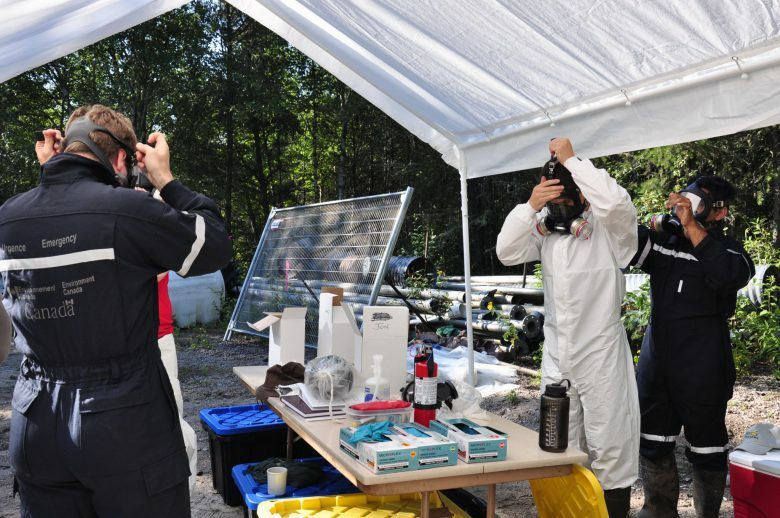 For example, in September we held an Open House in Kenora (a small town in Ontario close to the research site) to discuss the project with citizens, explain the finer details and answer any questions.